Early Registration ends Sunday, February 4th. Late Registration ends Sunday, February 11th. Payment is required in order to complete registration. Click here to complete. After registration, you can check your status here. Games will be played 7 on 7. Please see the rules here. Our goal is to maximize the number of games and make the tournament as enjoyable/competitive as possible. We will play a number of games on Saturday to establish team seeding for a tournament bracket on to be played on Sunday. Teams will consist of 7-10 players and we estimate 8-10 teams, so there will be a lot of play time. 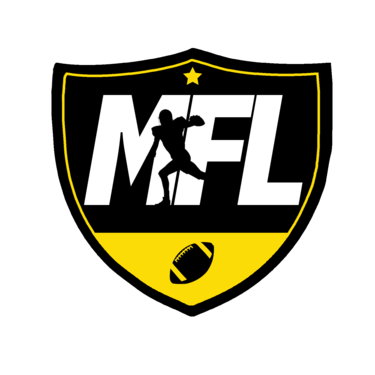 Team selection will be made by the Captains and the MFL Committee based on last year's tournament, the post tournament peer evaluation survey and insider information. We hope to use the data we get this year, along with skills competition results to rank players for next year. Our goal is to get all on-time registrants a spot on a team. Throughout the day on Saturday and Sunday, participants will test their football skills in various throwing, catching and defending drills to let everyone prove they are the best in one-on-one competition for PRIZES. We will be playing outdoors and plan to play through most weather conditions. Conditions during the month of April in Dallas should be great, however, we cannot control the weather so if there is severe weather, we may have to cancel the tournament, in which case registration fees will be partially refunded. Fees are non-refundable otherwise.